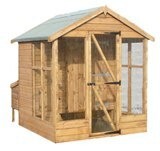 A good selection of Chicken Coops and coops with runs from various suppliers. Perfect for those who are going "green" and want to live the "good life" lifestyle. 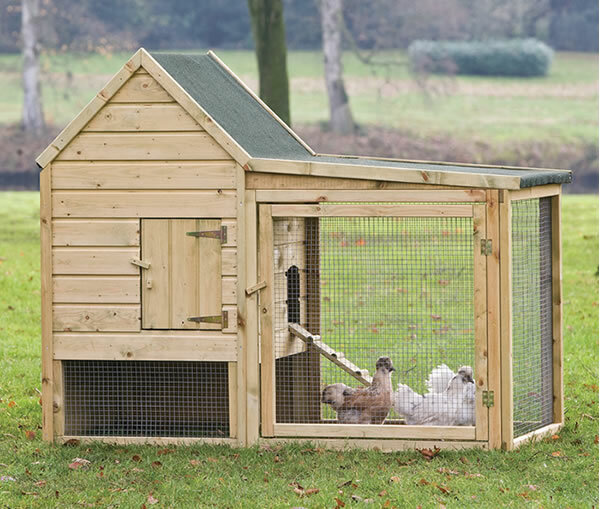 They are designed to give chickens plenty of room to move about whilst keeping them safe. With easy human access both inside the coop and externally by the nesting box it is easy to care for your chickens and collect eggs. Some of our staff keep chickens and it is growing in popularity as they make great pets as well as the benefit of eggs daily, if you need any advice or help on chickens, please let us know. 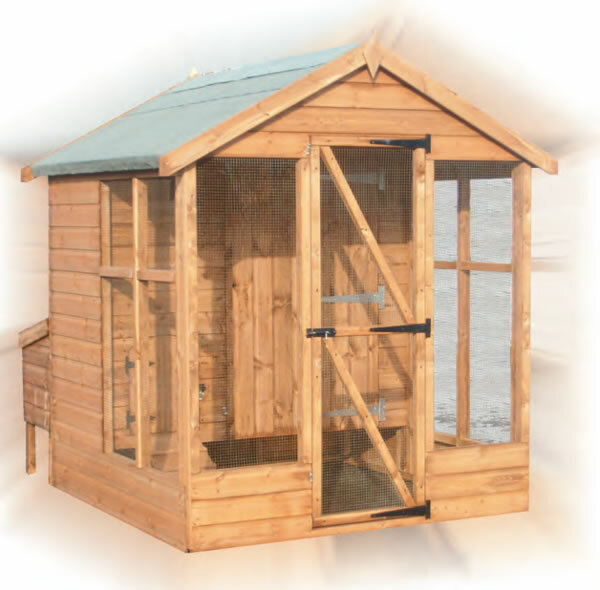 Pressure treated Small Chicken Coop from Rowlinson. Will house up to four chickens. With two compartment nest box and internal perches. 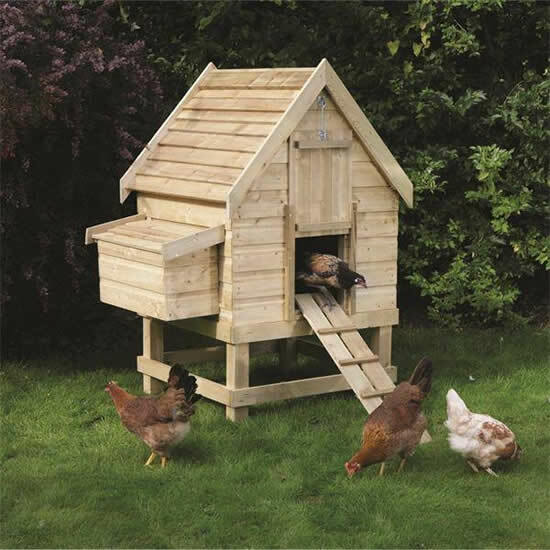 Small apex Chicken house and run, manufactured using impregnated pine. With front access door, Plexiglass window, ramp, removable perch and laying nest.